Researchers have developed a technique to edit out bits of mitochondrial DNA that could otherwise pass on incurable diseases, a study in mice shows. Salk Institute scientists used specifically engineered molecular scissors to snip out mutations in embryos, leaving healthy DNA intact. They hope it could one day be used to prevent human mitochondrial diseases. But experts say though it is a "technical masterpiece", it raises ethical and scientific challenges. Mitochondria are tiny powerhouses found inside nearly every cell in the body, generating energy necessary for essential functions. They carry their own DNA - which is passed on from mothers to their children. Unlike DNA found in the nuclei of cells, this does not affect characteristics such as appearance. But if inherited mitochondrial DNA is defective, children can have life-limiting conditions involving muscles weakness and blindness. Reporting in the journal Cell, scientists tested molecular scissors on mice with two different types of mitochondrial DNA (mtDNA). They were able to recognise and cut out disease-causing mtDNA in mouse embryos. And the resulting offspring were healthy. Researchers also used the technique successfully on faulty human mtDNA, inserted into mouse eggs. They say the next step is to run preliminary laboratory tests on discarded human embryos. And if proven safe and effective, they argue it would provide a simpler alternative to mitochondrial transfer therapy recently given the green light by UK authorities. This controversially relies on DNA from three individuals - two parents and healthy mitochondria from a female donor. But experts remain divided about the ethical and scientific questions this new approach brings. Dr Marita Pohlschmidt, at charity Muscular Dystrophy UK, said: "We welcome selective elimination of mitochondria as a technique, which could benefit thousands of women worldwide who risk passing on mitochondrial disease to their children. "The results seen in mice are promising. We are keen to see results of further research into the technique's safety and efficacy." But Prof Frances Flinter, expert in genetics at Guy's and St Thomas' Hospital, said: "The biggest question to address will be the possibility that DNA cutting enzymes may disrupt adjacent genes that are important, leading to unintended adverse consequences." Dr Duscko Ilic, at King's College London, said the technique had many hurdles to overcome. 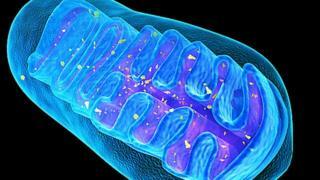 "Although this clever alternative approach for correcting genetic errors in mitochondria is a technical masterpiece, it is unlikely to make it to clinic in the near future. "Replacing faulty genes in human pre-implantation embryos, germ cells or gametes poses serious risks." And David King, of the group, Human Genetics Alert, had his own warning. "This research is unethical. It threatens to usher in the future of genetically modified designer babies. "We must extend the ban on human genetic engineering to create a global treaty." Meanwhile, other research from China involving separate technology on the more abundant DNA found in the nuclei of human cells, has led scientists to question how far such technology should ethically go.